When is a Canadian who leaves this country to join a foreign military force and participate in the killing of innocent civilians, including children, called a “terror tourist” and sent to jail? The answer is: Only when that person joins a military force the Conservative government disagrees with. Yet our government does nothing to hundreds of other Canadians who join a different foreign military force which daily terrorizes millions of people and often uses explosives to kill thousands — most of whom are civilians. It’s unknown exactly how many Canadians are participating in Israel’s ongoing attacks on Gaza but an Israeli military spokesperson has said there were 139 Canadians in the Israeli military in 2013. The Nefesh B’Nefesh Lone Soldiers Program, an organization supporting the Israeli military, has referred to 145 Canadians in the Israeli military. That figure, however, only refers to what the organization calls Canadian “lone soldiers” — soldiers without family in Israel. Breaking the stereotype of radicalized youth who join terror groups, recent media reports suggest that most of the Canadians joining the Israeli military are children of lawyers, doctors and other professionals. When thirty individuals attended the 2012 launch of a Toronto support group for Parents of Lone Soldiers, it took place at the home of Perla and Ron Riesenbach. The latter is a vice-president at the University of Toronto’s Baycrest Health Sciences Centre. Earlier this month the French language website La Presse quoted a McGill University law student, Menachem Freedman, who recently completed a stint with the Israeli military and now does legal work for the British Columbia Civil Liberties Association. A partner in a Toronto law firm, Audrey Shecter has two kids with Israeli military experience. According to the National Post, Shecter’s son completed 27 months with the Israeli military in February and her daughter, Orli Broer, currently serves on a base in the illegally occupied West Bank. Broer, a 19-year-old Torontonian, who is in a unit that processes visas and other paperwork, helps to deny Palestinians freedom of movement in their own homeland. “It’s my home and I have to protect my home,” the Canadian born and raised Broer told the National Post. While the Foreign Enlistment Act technically prohibits Canadians from recruiting for a foreign army, there are a number of organizations that help individuals enlist in the Israeli military. At its Toronto office, the Friends of Israeli Scouts’ Garin Tzabar program provides Hebrew lessons and support services, as well as help with transport and accommodation in Israel, for twenty-five to thirty Canadian “lone soldiers” each year. According to a Garin Tzabar spokesperson who spoke to La Presse, the recent killing and destruction in Gaza has prompted a flood of inquiries about joining the Israeli military. Financial backing for lone soldiers reaches the top echelons of the Canadian business world. Billionaire Toronto couple Gerry Schwartz and Heather Reisman created the Heseg Foundation for Lone Soldiers. Reisman and Schwartz provide up to $3 million per year for post-military scholarships for these non-Israeli soldiers. Members of the Israeli high command — Heseg’s board has included a number of generals and a former head of the secret service Mossad — say “lone soldiers” are of value beyond their military capacities. Foreigners volunteering to fight for Israel are a powerful symbol to reassure Israelis weary of their country’s violent behavior. Schwartz and Reisman’s support for Heseg has spurred a campaign to boycott the Indigo, Chapters and Cole bookstore chain they own. There are a number of other registered Canadian “charities” that aid the Israeli army. Money sent to Disabled Veterans of Israel or Beit Halochem (Canada) and Canadian Magen David Adom for Israel support the Israeli military in different ways. Established in 1971, the Association for the Soldiers of Israel – Canada, which gives tax receipts through the Canadian Zionist Cultural Association, provides financial and “moral” support to active duty soldiers. Various Canadian organizations have long supported the Israeli military and individuals from this country have directly participated in its violence. At least 25 volunteers from the Greater Toronto Area fought in Gaza during Operation Cast Lead, the three-week assault in late 2008 and early 2009, which left some 1,400 Palestinians dead. 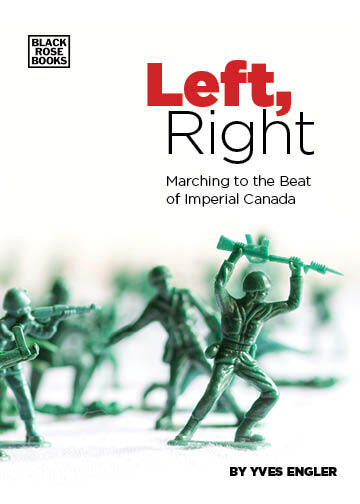 Canada’s military contribution to the conquest of Palestine predates the creation of Israel. During the First World War, Québec City-born Lieutenant General Sir Charles MacPherson Dobell, fresh from leading the Anglo-French conquest of German West Africa, was given a command position in the 1917 Egyptian expeditionary force sent to seize Gaza from the Ottomans. Additionally, as many as four hundred Canadians (approximately half recruited specifically for the task) fought in British General Edmund Allenby’s Jewish Legion that helped conquer Palestine. A number of Canadians, with at least tacit support from the Ottawa authorities, played a direct role in “de-Arabizing” Palestine in 1947 and 1948. Representatives from the Haganah, the primary Zionist military force behind the Nakba — the ethnic cleansing leading to Israel’s foundation — recruited three hundred experienced Canadian soldiers. The heir to the menswear firm Tip Top Tailors, Ben Dunkelman, was Haganah’s main recruiter in Canada. He claimed that “about 1,000” Canadians “fought to establish Israel.” During the Nakba, Israel’s small air force was almost entirely foreign, with at least 53 Canadians, including 15 non-Jews, enlisted. Given this country’s past, perhaps today’s double standard about “terror tourism” is not surprising. But those of us who want a just Canadian foreign policy must nonetheless expose our government’s hypocrisy. While al-Shabab has committed many reprehensible acts and espouses a terribly repressive ideology, the group’s growth and radicalization is largely a response to the 2006 US-sponsored foreign invasion of Somalia that has left tens of thousands of Somalis dead and hundreds of thousands displaced. On the other hand, it’s as if the Canadians fighting with Israel are unsatisfied with their and their ancestors’ dispossession of First Nations in North America and now want to help colonize yet another indigenous people. The double standard is extreme. It is illegal for Somali Canadians to fight in that country but it is okay for Canadian Jews to kill Palestinians in Gaza. And the government will give you a charitable tax credit if you give money to support the latter. Fortunately, activists in one country have made strides on this issue. A Palestine solidarity group in South Africa recently launched a case against citizens of that country who have served in the Israeli military. Canadians of good conscience must at least insist upon fairness and an end to an outrageous double standard.